Before I begin this post, I must apologize for the delay. The Federal Government in conjunction with INEC tried to make 2015 Valentine’s day impossible, but trust the strong prayers of the Nigerian Girlfriends Association – val’s day shall hold! A lot of readers have been waiting for this guide, and trust us at ReviewNaija not disappoint! We have done some research and asked around on your behalf. All of you last minute folks, get in here! A. A box of 12 cupcakes from Confectionately Yours, located at 14, Sam Shonibare street, Surulere Lagos. Free delivery to specific areas. Cost – 900 naira. Call,08124335141, 08174602000 to order. B. 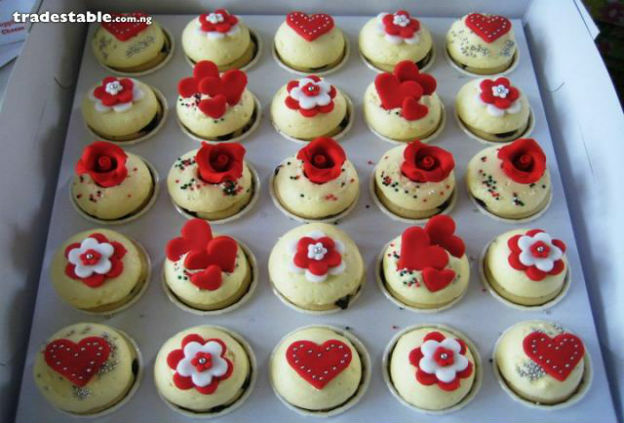 A box of Vanilla and Chocolate decorated valentine’s cupcakes from Ruchinas Confectioneries. Cost – 2,000 naira. Simply call, 08089074375 or add 26372035 on BBM to place your orders. Delivery is available. C. An 8 inch Strawberry Marble Love Cake, by Licious Desserts located at 60, Allen Avenue, Ikeja Lagos. Cost – 2,200 Naira. Call 08025608067 or Click HERE to place your orders. A. Pretty Fabulous Flowers, check website for more information or Call 0700PRETTYFAB to order. B. Bouquet of Flowers from 7th Heaven. This is a Jumia Deal. Delivery is offered by Jumia, so normal rates apply. Cost – ranges from 7,200 Naira, – 120,000 Naira. Click HERE to order. C. Bouquet of flowers from Jasmine rose. Visit them at 158, Sinari Daranejo, off Ligali Ayorinde, Victoria Island, Lagos, or call 08096902363 / 08095642712. Delivery is available in Abuja and Lagos. A. Three Course Meal for two at Hotel De Island located at 25, Adetokunbo Ademola Street, Victoria Island, Lagos. Cost 6,000 Naira. Click HERE for more information or call 08089030651, 07046126129. 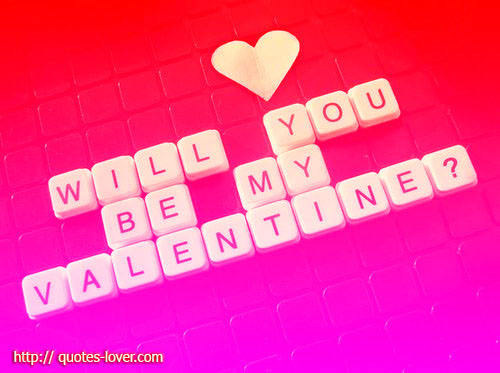 I think this is a good option, if you are single have no plans. Getting a spa treatment is wonderful. In fact, I just might…. A. 30% off facials, pedicure and make up cards at affordable rates. Contact InVogue Makeup studios, located in LUTH, Surulere. Call, 08157358309, or 08134075306 . You may also add them on BBM, 334F9ECC for more information. A. Exclusive 5 day trip to Dubai: Variety of options ranging from 150,000 naira to 200,000 naira. Contact Green Line Tourism Located at 29, Gbagba Crescent, Off Mojisola Street, Ogba, Lagos. Call 07033778470, 08188007568 or Click HERE for more information. B. Luxury Night stay for two at Vynedresa Hotels 8, Uyo Crescent, Off Emeka Anyaoku Crescent, Area II, Garki, Abuja. Call 08104887777, 09-2910558 or Click HERE for more information. C. One Night Hotel stay for two at Wingate Hotels 15, Psychatric Road, Rumuigbo, Port Harcourt, Rivers. Call 08064429897 or Click HERE for more Information. B. It’s going to be all Red at “57” night club this Valentine Weekend. 57 is located at #57 Awolowo Road Ikoyi, Lagos. For reservations & table bookings dial 09091001000. This is all we’ve got people! If you have more options, please use the comment box below. We hope we have been of help to y’all. Ladies, remember to get something for him this valentine’s day. Have so much fun, and share your experiences trying out any of the above options! Emmmm….I’ve always wanted to pamper myself…..so I’m thinking the spa won’t be a bad idea.